The B-sample result of Sharks rugby player, Mahlatse Chilliboy Ralepelle, confirmed the presence of the banned substance, Zeranol. Zeranol falls under the category S1 – Anabolic Agents of the Prohibited List 2019, and is prohibited in- and out-of-competition. 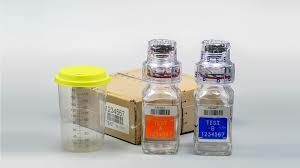 During the sample collection process, the athlete divides his sample into an A-sample container (60ml) and a B-sample container (30ml) and seals both containers. The B-sample container therefore contains the same urine as the A-sample container. Upon receipt of the athlete’s A and B-samples at the Laboratory, only the A-sample’s seal is broken and the sample is then analysed for banned substances. When the presence of a banned substance is identified in the A-sample, the athlete is notified and has the option to accept the result or have the B-sample analysed to confirm or invalidate the A-sample result. Mr. Ralepelle exercised his right to have his B-sample analysed. The legal representative of the athlete has been informed of the test result. The athlete now has the option of accepting the result and offering a guilty plea, where after a reasoned decision will be issued explaining the doping sanction. The athlete may also submit a plea for consideration of a reduced sanction by providing mitigating circumstances. Should the athlete opt to contest the sample result, a hearing of an independent tribunal panel will be convened to adjudicate over the proceeding and hand down a decision.